Swing gate repairs is very necessary if you have a swing gate. Swing gate repairs are what make your gates reliable and accountable. People have been looking for a company that does an awesome job at swing gate repair in Orange County, California and people have found a company and this company's name is Awesome Quality Garage Doors and Gates, S– Corp, we look forward to repaying your swing gate. Our company has been doing swing gate repairs for a very, very long time. We know that we are experts in swing gate repairs and this is why we want to do your swing gate repair. Wouldn't it be a good idea to let an expert do what they love to do if necessary? We know that once you let us step into your house and do your swing gate repair you'll fall in love when a corporation. We understand that there is a lot of people who love doing things by themselves and would want to do their swing gate repair by themselves. We do not advise this however because when doing your swing a repair by yourself there's a lot of mishap that can occur. We do not want you to injure any of your love ones or yourself. We do over the phone step-by-step process, but we do not advise this either because of terminology issues. The best possible situation for fixing your swing gate is letting one of our certified technicians do it for you. The technicians that we have under our belt have been repairing swing gates, wooden fence gates, steel gates and electric gates. So, these technicians are experts in steel gate repairs. These technicians are also experts and garage door repairs. They understand ﻿garage door﻿ and gate repairs well. We just want to make sure that you're going service the way that you deserve to be serviced. Our company has been servicing Orange County, California to the fullest potential ever since we were formed. We understand what the customers want and the how they wanted to. We are the authority in all things garage doors and gate repairs. There is no coincidence why people love coming to our corporation, it's because they know they're getting exactly what they want and some. Our company is very versatile because we are not limited to only Orange County, California we also do all places that border Orange County, California. Why wouldn't you want to come be that's a very divergent to do your swing gate repair? 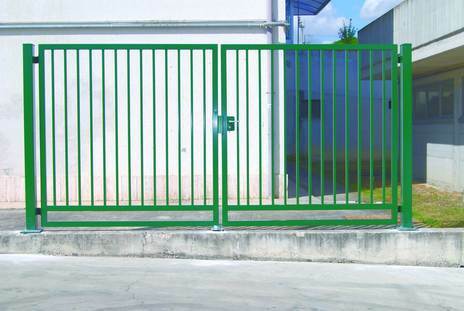 There are endless amounts of reasons why you should let Awesome Quality Garage Door and Gates, S-Corp do your swing gate. We really just want to give you the best quality in all of orange county, California and by the best quality we mean give you the greatest swing gate repairs. We know that nobody gives swing gate repairs like our corporation and this is why we want you to get your swing gate repair done by us because there is no other company like us in Orange County, California. This alone is a valid reason to get you swing a repair done by our company. We are glad that you have chosen Awesome Quality Garage Doors and Gates, S–Corp, as your go to company for garage doors and gates. Now you're probably wondering how to get in contact with us this is fairly easy all you have to do is fill out an instant quote form that takes only few seconds complete or call us at this number (---)--- ---- and our operators will be with you shortly. Thank you for choosing Awesome Quality Garage Doors and Gates, S – Corp, for all of your swing gate repair needs.